I just had the pleasure of being interviewed for the podcast Mom & Mind; a great podcast resource for mothers as well as anyone interested in Maternal Mental Health. The podcast is created and hosted by Dr. Katayune Kaeni, who is a fierce advocate for mothers and parents. I was grateful for this opportunity to discuss some the things I am passionate about. I talk with Dr. Kaeni about the topic of maternal ambivalence and the bodily changes of motherhood. Yes, that can of worms, or tsunami of psycho-somatic stirrings, or wave of mixed pleasures and anxieties. Because the feminist psychoanalytic and somatically focused literature and research that inform my work offer a great deal of insight and, more importantly, hope for anyone going through the transition to motherhood. We can broaden our understanding of parenthood by exploring the ambivalence, or rather the several areas of ambivalence that come with mothering. Maternal ambivalence is often understood as “the experience shared by all mothers in which loving and hating feelings for their children exist side by side.” (Parker, 1995, p. 1). However, ambivalence arises about almost any aspect of mothering, and not just in relation to the child. A mother’s attitude towards her new identity as a mother, towards the infant she herself once was, towards her own mother, or her partner; all these areas stir up intense conflicting feelings. And namely the body changes of motherhood can evoke this polarity of affect. Her body now forever changed, just like it was irreversibly changed by puberty, and like it will be changed again by menopause. These major transitions connect mind and body in the journey of the female life experience like nothing else. The bodily reactions, fantasies, concerns, or preoccupations often hold emotional content that is yet to be articulated. If we are able to unearth and unravel this emotional content, we might discover longings that seem raw, aggressive, infantile, brutal, primitive, or competitive. All of which do not make them less important. On the contrary, it makes them very important because they, more than anything, hold our humanness. It is this concoction of bodily and emotional transitions that I am dedicated to exploring. But not just for the sake of exploring. The reason is one of offering hope, because through this exploration, mothers (and anyone close to a mother) might understand themselves better and thereby adjust and cope better. Or heal through what needs to be healed. There is always more to the story about the changes a woman goes through when becoming a mother. 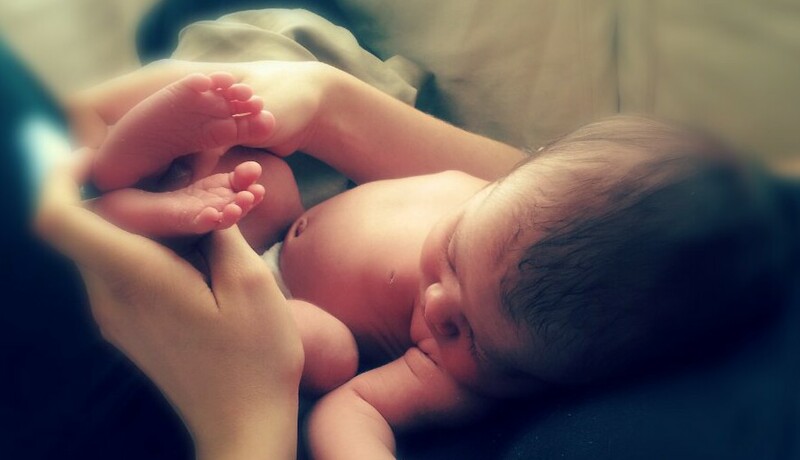 Her life story is imbedded in her psychological and somatic reactions to motherhood. That is why we need to listen closely and with an attitude of compassionate curiosity. Studying Mothers In Mommy Wars. Where Do Maternal Studies Start? Motherhood is tricky business, and studying it is no different. I used to think it couldn’t be that difficult to zoom in on mothers as particular subjects to study, but it has turned out to be much more slippery and theoretically complex. The subjectivity of the mother; the mother as subject in her own right, is not something that can be taken for granted. The maternal is a subject position so conflictual that it has been proposed as a theoretical question in itself (Baraitser el al., 2009). To jump right into the disciplinary clash between psychoanalysis and feminism, Hollway (2006) has captured the core of the issue of maternal subjectivity by asking: “Can mothers be good-enough mothers and still be subjects in their own right?” (p. 65). Any answer to this will elicit a series of new questions. If the answer is no, we must continue to question the entire concept of “good-enough mothering”. If the answer is yes, I want to know what that subjectivity looks like. Because Winnicott’s infamous concept of “good-enough mothering” that was uncritically and tirelessly referred to all through my psychology studies, is met with substantial critique the moment one ventures out of the bubble that clinical psychodynamic psychology can sometimes feel like. A concept like “good-enough mothering” does not account for a mother’s subjectivity, but on the contrary only sees her in terms of her function and capacity as the mother. The concept only looks at the infant’s needs, and the mother’s autonomy is only included in terms of the infant’s needs to be adequately frustrated as s/he is developing (Bueskens, 13). So the question of maternal subjectivity; what it is, how we conceptualize it, and how we study it, is the place to start when venturing into maternal studies, (and this is by no means an exhaustive account, but more like a taste). Winnicott was like a holy cow during my undergrad and Master’s program. I had never thought I would come to be critical of such a seemingly friendly and warm concept (but that is not to say that Winnicott is totally out the window; his works have been re-worked in maternal studies too, by analysts like Jessica Benjamin). Maternal subjectivity becomes especially slippery in the so-called Mommy Wars. Readers may frown upon my using this phrase, but as a clinician and scholar informed and inspired by Kleinian theory, I appreciate the reference to heated conflict. Because much more is at stake than whether a picture of a toddler being breastfed will create social media buzz. The conflicts of the Mommy Wars are concerning namely in light of the problems with maternal subjectivity. The more polarized and sensationalized the debates get, the less room will there be left for spaces for honest expressions of maternal subjectivity. When these Mommy debates become ideological, it is at the expense of the acknowledgment of the subjectivity of those involved (Vissing, 2014). Mothers’ accounts of their mothering experience turn into arguments in the debate, and personal experiences will be perceived as underpinning for these arguments (I have written about this in a chapter that will be published this Fall). I think the first thing to note about maternal subjectivity for now, is that acknowledging its theoretical and practical importance is in itself a significant stance because of the aforementioned implications for clinical concepts like “good-enough mothering”, or for how we approach research methodology. I often encounter research and theory, especially about infants and children that does not address the issue of the mother’s subject position (and I will be demonstrating examples of that in this blog as it develops). 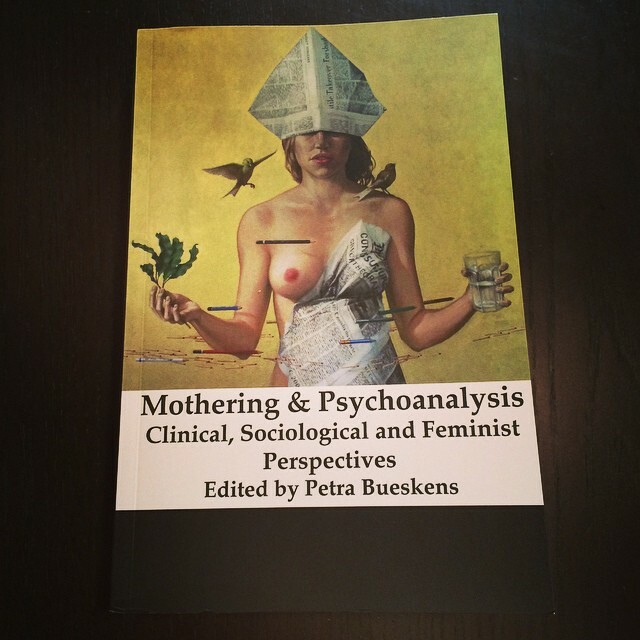 Bueskens (2014), in her introduction to Mothering and Psychoanalysis, argues that if we recognize the mother or “the maternal” as a valuable subject from which to generate knowledge, it may not only free women from the constraint of the institution of motherhood, but also shift our “epistemological, political, social and psychic horizons” (p. 4). How is that for a promising statement? I welcome your thoughts on and questions about maternal subjectivity, whether academic or from personal experience. There is much more on this subject, but I had to just kick off this project. Baraitser, L., Sigal Spigel, S., Betterton, R., Curk, P., Hollway, W., Jensen, T., Miller, G., Miller, T., Parker, R., Pullinger, K., Raphael-Leff, J., Reynolds, T., Simic, L., Stone, A., and Tyler, I. (2009). Editorial. Mapping Maternal Subjectivities, Identities and Ethics. Studies in the Maternal, 1(1). Bueskens, P. (2014). Mothering and Psychoanalysis: Clinical, Sociological and Feminist Perspectives. Toronto: Demeter Press. Hollway, W. (2006). The Capacity to Care. Gender and Ethical Subjectivity. London: Routledge. Vissing, H. (2014). The Ideal Mother Fantasy and Its Protective Function. In L. Ennis (Ed. ), Intensive Mothering: The Cultural Contradictions of Modern Motherhood. Toronto: Demeter Press. I had the pleasure of reviewing the impressively thick book titled Mothering & Psychoanalysis: Clinical, Sociological and Feminist Perspectives for the Journal of the Motherhood Initiative. It is edited by Petra Bueskens; a remarkable writer, researcher, and psychotherapist from Australia. It will be no surprise to maternal scholars that a book with such a promising title is published by Demeter Press, which is arguably the most important publisher in motherhood research. I have been looking forward to this book. As a maternal scholar with special interest in psychoanalysis, this is not only of interest to me, but also extremely helpful to my ongoing project of getting an thorough overview of the complex layers of “the maternal” as a theoretical question and a research area. The intersection between psychoanalysis, feminism, and motherhood is wide. In my experience, it tends to get wider as you study it. So I must admit I have high expectations for this book’s explanatory potential, especially since the table of contents include names like Nancy Chodorow, Alison Stone and Lisa Baraitser, just to name a few. It is reassuring to see the interdisciplinary approach already in the subtitle. As Bueskens describes in the introduction, it is an “impossibly eclectic book”, but make no mistake of associating the word eclectic with something negative. My experiences of studying motherhood in the clinical psychology world (and in psychoanalysis in particular) have repeatedly left me with a feeling of finding more corners and fewer openings. The topic in question seems to demand constant disciplinary transgressions, and it is my goal with this blog to dig deep into that disciplinary mess. I have yet to civilize my thoughts on this, but a teaser would sound something like this: in order to develop a solid psychology of motherhood, I see a (potentially harsh) break away from psychoanalysis, a tour through several disciplines (that I will not list just yet), and then a movement back to a new psychoanalysis of our time. I am sure I will be much better equipped to speak to this after reading my new 500 pages brick of concentrated wisdom. Buy Journal of the Motherhood Initiative 6.1 with my review here.